Almost everyone feels as though all is right with the world when the sun is shining. As humans, we seem hard-wired to appreciate bright light, and that light can cause chemical reactions inside our brains that bring us an increased sense of fulfillment and peace. In the past, people traveled to sunny spots when they felt low, hoping to soak up the sun and feel a little better about life and their place in the world. 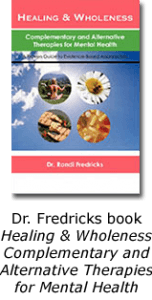 Now, light therapy has become one of the most effective natural remedies. While travel might be an ideal way to cause a mental boost, it’s not always feasible for everyone. That’s why manufacturers have developed light therapy boxes. These devices are designed to deliver a targeted dose of bright light, and they might help some people overcome conditions related to light deprivation. 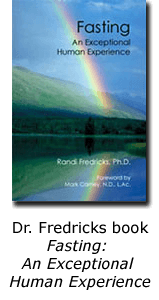 What Is a Light Therapy Box? A light therapy box is more than a table lamp with a bright light bulb in it. In fact, a light therapy box is likely much brighter, and much more powerful, than any table lamp you’ve ever seen before. A light therapy box is designed with fluorescent bulbs that can deliver the amount of light produced by about 10 standard light bulbs. Some light therapy boxes produce white light, while others deliver a blue light. Experts aren’t quite sure why light therapy is so effective. Some studies suggest that the light stimulates the brain to produce helpful chemicals that regulate the sleep cycle, while turning off chemicals that encourage the brain to slow down and hibernate. In other words, the light therapy might help turn on the processes the brain uses naturally when it is exposed to light. But, more research is needed to determine how the light therapy works at a chemical level in all people. While light therapy is considered reasonably safe, and manufacturers often attempt to market the boxes to anyone with a pulse and a functioning credit card, the therapy often works best when it’s supervised by a medical professional, according to the Mayo Clinic. 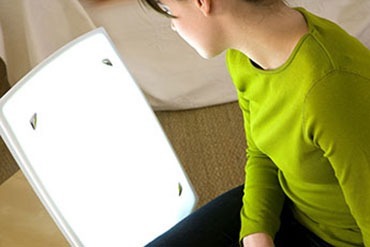 A medical professional can help you determine when you should be using your light therapy box, and your doctor can also ensure that you don’t have any conditions that could be worsened by light therapy. For example, you might use topical antibiotics for a skin condition, and light therapy could interact with those medications and cause your skin to redden. A doctor should always supervise your light therapy, just to ensure that these interactions don’t take place. Light therapy boxes that deliver a significant amount of light might give you a therapeutic dose in just 30 minutes, but you might need longer sessions if your light therapy box isn’t quite so strong. Your doctor can help you determine how long your sessions should take. Some people use their light therapy boxes first thing in the morning. The idea here is that the light therapy box will stimulate your brain into believing that spring has arrived and that the days are longer. Some people repeat their therapy sessions in the late afternoon on dark days. Again, this can fool the brain into believing that spring is here and the bright sun of afternoon will be common. Many people use light therapy in the dark months of winter, when light outside is thin and hard to come by. There are some people, however, who continue to use their light therapy boxes throughout the year. This is another decision you’ll make in consultation with your doctor.